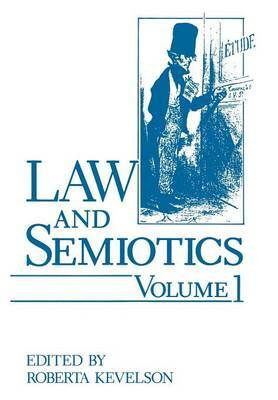 However, it became apparent shortly after the establishing of the Center that not only were all methods of legal semiotics not Peircean in origin, but were in their respective foundational assumptions not likely to be compatible with Peirce's semiotics without some radical, transforming development of the idea, 'legal semiotics'. It was clear that if one would intend to be faithful to Peircean semiotics then holding a fixed notion of what an idea of Peircean semiotics of law means would be a violation of the spirit of Peirce's thought; this above all emphasizes the growth and development of initiative ideas and also the stricture that all leading principles must be subject to revision. Even the idea of Peircean semiotics, as leading principle, must itself be an open idea, the meaning of which must be transformable through the process of defining it. A metasemiotics view of a semiotics of law must leave open the possibility for revision of the leading principle of the term, "legal semiotics. " Therefore, if legal semiotics is an idea which accumulates and evolves its meaning in the very process of self-examination, then a process of investigating law investigates itself as well in any semiotic process of inquiry. It became apparent that the most appropriate contribution the Center could make to the area of a Peirce an semiotics would be to act as a sponsor, an inclusive rather than exclusive agent for inquiry of all kinds into the general topic of law and semiotics.